The Caledonias Mix Energy And Personality In Cool, Dance-Worthy Live Performance Of "I Need Your Love"
This Wednesday night, The Caledonias will host CollegeAca's next installment of "Aca Live," and if this performance of "I Need Your Love" by the group is any indicator of what we can expect, it's sure to be one heck of a live performance. 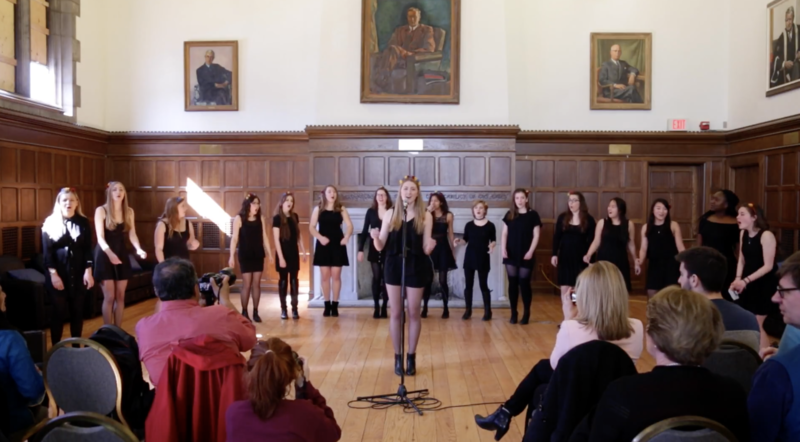 The all-female group from Queen's University in Kingston mixes up the groove in more ways than one in this cover video, switching between multiple styles, tempos and dynamics as they showcase the Calvin Harris and Ellie Goulding hit. There's traces of latin influences, dubstep, and even a closing ballad-like movement that brings the deeper meaning of the song back home. If you're looking for groups who know how to deliver an energetic performance with plenty of flair and personality, look no further than these ladies.